Women get upset with what I write often, especially when it goes against everything they believe. They must remember, I am not teaching anything to be politically correct. I am teaching biblical principles to women who love the Lord and His ways. You must always keep this in mind when you read what I write. I look at the Word and what it says, then teach what I learn from it, not from my opinions. “But the priority that God places on the home—this passage assumes that young women will be wives and mothers. It’s not saying if they’re wives and mothers or if they decide they want to get married or if they decide they want to have children, then teach them these things. I love this statement because it’s exactly what I believe is God’s will. God commands the older women to teach the younger women. He doesn’t say, “Teach the married younger women…” or “Teach the younger women who have children…” He clearly states to teach “the younger women…” God wants women to marry, bear children, and guide the home. He created women to be their husband’s help meet. He created men to need a help meet. It’s His perfect plan but many in our culture despise His plan. I know. I hear about it frequently. I wrote a post titled “A Day, No Years, Without Men” in the Workforce” with this statement that undoubtedly feminists loved; “Men can easily and often better replace every single job that a woman has in the workforce.” Cultures would come to a quick end without men working hard to protect and provide. Cultures would also come to a quick end if women quit bearing children. Both roles are extremely important for a healthy culture to survive. Neither role is more important than the other one because they are both important but of course I received flak from this post. Here’s just one example. Essentially you are saying that it is more important for you to have female nurses and doctors rather than their children having them home full time with them to raise, care, and train them? Yes, it’s GREAT that you have a female nurse to give mammograms and have as gynecologists but what about their children, if they have them? You see, I am sure God wants women at home because He cares a whole lot more about marriages being strong and children having a mother home full time with them to raise, nurture, and train them than for you to have female nurses and doctors. I know some female doctors and they regret being one because they aren’t able to be home full time with their children because of the massive debt they are trying to pay back and all the time and energy they put into getting their degree. It’s a very stressful life for them. I had a male gynecologist who delivered my four children and he was fine. He’d delivered many babies and was very competent. Remember, I’m not trying to solve all of the world’s problems. I am simply teaching godly women what God wants me to teach them. I had a young woman reach out to me who was in medical training and admitted that all she wanted to be was a wife and mother but was so pressured by her parents to be a doctor. I told her she didn’t need to obey her parents as an adult and if she wanted to be a wife and mother, she should end her pursuit of being a doctor and she did. After reading my blog, she knew that this wasn’t the route that the Lord had called her to pursue any longer. She wanted to be home full time with her children, if she was blessed with them one day. If not, she could adopt or do foster care but she wanted to be a mother. I have also had nurses tell me that they finally decided that it was a whole lot more important for them to be home with their children full time than being a nurse. They knew that they were replaceable as nurses but not as mothers to their children. God created mothers to be home with their children. He’s the One who gave them a womb, breasts, and the emotional makeup to raise children. Generations are now suffering because they were not being raised by their mothers. I was a teacher in the public school system for three and a half years. I was replaceable but not as a mother to my children. This is what should matter to most women in the end, their children, but it doesn’t anymore and this is why God wants the older women to teach the younger women to love their children and be keepers at home. Women have lost their way today and have been hoodwinked by the feminists, unfortunately. Besides, I’m not sure your daughter would fall through the cracks. The Apostle Paul’s instructions to unmarried women is to be holy in body and spirit. Any single, young women who asks me what they should do with their lives, I encourage them to make sure that when a godly man comes into their life, they are prepared to quit whatever they are doing to marry and have children. As an older woman, I continue to teach younger women how to love their future children by being prepared beforehand to be home with them without having any debt. The Apostle Paul gave his opinion and he was clear about this, “For I would that all men were even as I myself…” (1 Corinthians 7:7) but God created men to need a help meet so most men do indeed “burn” and want and need a help meet. God made them this way. Yes, there are some who indeed want to spend their lives serving the Lord but it’s few. By the way, it’s not my “prescription.” It’s God prescription and if any women feel judged by it, they will have to take it up with the Lord since I didn’t write the Bible! Posts like these do a great disservice to single women, women who are infertile and couples that cannot have children for whatever reason. To teach women that their sole worth is in being a wife and mom isn’t healthy. Marriage and motherhood are not our highest callings, serving Jesus is, in whatever capacity he has called you in. Many many women desire to be wives and mothers but are single or childless through no fault of their own. You can only do so much up to a point to try to be married or to have kids, other than that it is just something that happens to you and it isn’t a reflection of your true character or worth. And if it doesn’t happen it still isn’t a reflection of your character, value or worth. The majority of women will get married, Bethadilly, and have children. 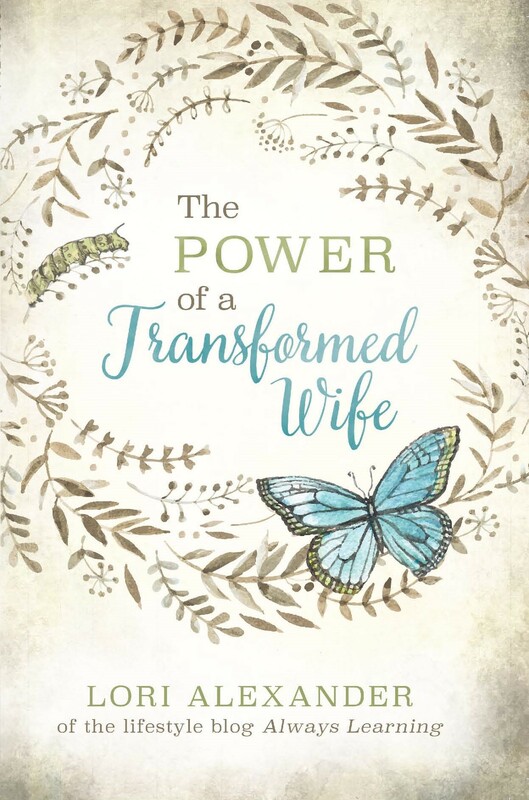 Nancy Wolgemuth from Revive Our Hearts just got married in her late 50s yet she taught this to women since she was a young woman since she knew this was God’s will for them. We can’t worry so much about offending women that we don’t teach what God requires us to teach. Of course, our value and worth comes from the Lord. This is why I teach this to Christian women. They know they are loved and valued by the Lord but then they want to know God’s will for them. In the meantime or if they never get married, they learn godliness with contentment for this is great gain. If they never have children, they can adopt or be foster parents if they choose to do so. We must never stop teaching the truth of God’s Word for fear of offending some. This has stopped many from teaching the precepts of godly womanhood because of the backlash they receive from women that you mentioned. Godly women who are not married or don’t have children like Nancy will still understand the benefit of teaching these things to the majority of women who do get married and have children. Let’s be careful here to not shoot the messenger. This is part of the reason that so many pastors have to water down what they teach from the pulpit is because of the wrath of the (un-silent) women in the congregation that are acting on their emotions instead of acting on the truth of the Word of God. Thank you, Trey. I love your last paragraph especially! No, it’s not easy to teach women biblical womanhood in today’s feminist culture but it is good and certainly worthwhile because nothing is better than God’s will for us. Just today a woman is grieving for speaking the truth in love and getting ostracized for doing so but I encouraged her to not give up. God’s Word never comes back void. It is so important to follow the commands of Jesus! He told us very plainly that we are to first love God and then love others (Matthew 22:37-39), and then again in John, in several different instances: “Love one another, as I have loved you”. By striving to be Christ-like in our attitudes and our behaviors, we can show the world that we are not just a clanging gong or a clashing cymbal. We need love in our hearts to reach the poor and fatherless, to care for the orphans and destitute, to be a beacon of hope in these dark times. We are commanded to speak the truth in love. Most conveniently leave out the TRUTH part, Sarah, and if we love the Lord we will obey what He commands. I could not agree more with what you have written but the reason (I perceive that) you felt the need to write it brings up another topic. What is love? Love is many things. First of all, love is not a feeling, love is a verb; an “action word”. It is of course, all the actions listed in 1 Corinthians 13 but it manifests itself in other ways as well. For example, God says that He disciplines those that He loves. (Prov. 3:12, Heb. 12:6). Sometimes it’s a parent spanking a child, a shepherd breaking the leg of a wayward sheep, a husband instructing his wife to weigh herself each week in front of him to give her accountability with her weight, laying down your life for a friend, and many other unpleasant things. Love is also speaking the truth (in a kind way), even if it causes others temporary pain, because in doing so, in addition to obeying Gods command, it is ultimately acting in their best interest. Sometimes love is painful to the one being loved, but just because it is painful, does not mean that you are not being loved. Why does it do a disservice? Would you have preachers not say homosexuality is a sin because a member of the church is gay and it would hurt his feelings? Would you have us not say murder is wrong because many people have committed murder and their feelings might get hurt? Just because someone doesn’t like it, doesn’t make it not true or not Biblical. I assure you, the first time I read CTBHH by Debi Pearl, I didn’t like it and it hurt my feelings, but God kept convicting me about it and when I read it again, I realized how wrong I had been. You see, I needed my feelings to be hurt so that I would take a long hard look at what I was doing and see how wrong I was. So, I know God’s word is true and I am an example of the glorious things that happen when you take what He says, as He says it. Not watered down or justified. And my last point, if my husband wanted me to work, I would have to work. Now, when I read Lori’s blog, I would be able to act offended because after all, I am doing as his says, I am obeying my husband. I would be wrong if I got offended because she tells me to stay home and I couldn’t because I was obeying my husband. I would know that I am supposed to be home, but I am obeying God by obeying my husband and having a job. But would I nitpick with Lori about it? Or claim she’s being unfair? No, because I can read Titus 2 for myself and see that she is doing exactly as she is called to do. People can make exceptions all day long, but Titus 2 still says the older women are to teach the younger women. You’re so right, HH. The bottom line is most want their ears tickled instead of the Truth. I love the truth. I love being convicted and challenged by it. Lori, I stop by your blog from time to time and I agree with much of what you write. We all have to do what life presents us with. My husband was killed in a traffic accident when my 3 children were small. luckily I already had a 4 year degree in education. I went back to school for a year and got my credits to be a school librarian.My parents were able to help me some but I was pretty much on my own. I got a job in a small town in Wisconsin and raised my children there myself. Because I was able to make a living wage I was able to provide a home for my children and help them get an education. I am still in my own home here 31 years later. I met a few nice men over the years but no one I wanted to marry. No one situation fits for all women. I did what I felt I had to do and I have no regrets. And no, I do not feel I am a weak woman, and I am not a rampant feminist. I am very sorry for your loss, Annette. That must have been horrible for all of you. My best friend who lived in WI lost her husband to brain cancer when she had three young children but, thankfully, was always able to find a way to be home with them and raise them. According to the Bible and it’s very clear, family is supposed to provide for widows and if they don’t have family the church is to provide. John MacArthur’s church provides for widows and all churches, if they were obeying the Word, would do this. The children have lost one parent; they don’t need to lose their mother to a job, too. Connie Hulquist has six children and a husband who was in and out of jail. She lived extremely simple so she could be home with her children. There are other mothers who I know that are doing the same thing. With God ALL things are possible! Thank you for sharing, Shelley. This heartbreak from children losing one parent is not supposed to result in them losing both parents. This is why God made clear commands about helping the widows and fatherless. The Church and families needs to get back to obeying these commands to prevent more children who have lost their fathers from losing their mothers too. Blessings. I honestly think some women are looking to be offended. I have read your blog for quite awhile and you have mentioned that women who are not raising children (maybe grandmothers already or still waiting to be married) can do some of the jobs that mothers are currently filling. Just like the midwives in the Old Testament who were blessed with their own families after they honored God by not killing the Hebrew babies. Which means they were not serving as midwives while they had the responsiblity of their own children. I think you have mentioned several times that is fine to be in those fields that serve women specifically if you don’t yet have your own family or if you have raised yours. Which brings me to something that I have yet to hear taught in the pulpit today and that is that in the Bible, women were in their father’s household (their father’s financial, spiritual, emotional) responsiblity until they were married. If the marriage ended, they would return to their father’s house. It wasn’t just the “custom” either, the father had the right to give or not give his daughter to whom he wanted in both the New and Old Testament. He also had the right to nullify any vows she made while an unmarried woman in his household. He is still financially responsible for his unmarried daughter and for any widowed daughters. (He is actually responsible to provide for any other widows in his family as well). So if something happened to my husband (which I of course pray nothing does) my first step would be to move in with my parents. Not only would this be good financially, but my children would benefit from a “father” (grandfather) that they had been deprived from. Also, we have taught that our daughter is welcomed (and wanted) to stay in our home until she is married, no matter if she is 18 or 48. Finally, as a woman who faced years of infertility myself and has a (beautiful) single sister, I have never been offended by Lori’s teachings. Honestly, I don’t see a reason to be offended/hurt/whatever even if you do disagree. No one makes anyone read this blog. To she who has ears, let her hear. Thank you, Michelle. A wise woman doesn’t get easily offended. Family are who God calls to take care of the widows and fatherless first and then the church so yes, you are right about this. I have noticed how feminism focuses on the exceptions, the what ifs, the what abouts, etc. The Bible was not written to address all of these specifics and extremes; it gives God’s will for younger women in I Timothy 5:14, as Lori has stated many times. Often, the exceptions and objections stem from not trusting God. Women should position themselves to be married and have a family; pray, seek counsel and introductions from godly people, etc. Make the effort, and leave the results in God’s hands. I suspect feminism has caused an uptick in women being unmarried and childless. This is a grievous thing. It sure is, Lady Virtue, and it’s true. Less people are married than ever before and the lowered birth rate is going to have tragic repercussions on cultures. China is already feeling these with not nearly enough women for all of the men. We must not fool around with our Creator’s design for us. We are commanded to trust and obey so this is what we must do. Lori, if a widow has no other option, would it be better for her to go on welfare than go out to work and leave her kids? If I were widowed and had no family or church that would support me, I would go on welfare. If welfare isn’t to help mothers with children who have lost their husbands, I’m not sure what welfare is for. They would have to pay strangers to watch their children while they worked which makes no sense at all to me and would be so exhausted from working that they would have little time for their children. Children and what is best for them must become a priority. Thanks. I didnt know you believed in welfare for women with children. So many people say they should go to work. Godly widows shouldn’t have to depend upon welfare. Their families and church should support them and I am sure many do, thankfully. From my understanding, since president Clinton, welfare is only temporary for 2 to 4 years and you must prove you are looking for a job. They will not support a widow indefinitely. The welfare program was begun to assist families on hard times temporarily until they could get back on their feet. Amen! Home is the best place in the world for women to be and have the greatest impact, contrary to popular opinion. God’s opinions will ALWAYS trump culture’s. Hi Lori! I agree with your teachings that are biblical and follow the commandments of Jesus as best as I can. I notice that there are other men and women who teach the Word of God, but they do not practice what they preach. For example, they teach wifely submission, but they do not follow and obey their husbands. Some preach modesty, but they make arrogant statements and wear revealing attire. A few teachers put many biblical rules for people to follow but they do not do anything to help them. I’m not a man or an older woman and am not close to these people, so I do not have an opportunity to correct them personally, so I just pray for them and leave it up to God. I was wondering how you and Ken, besides reading and understanding the Bible, discern the teachers that you follow? Especially for teachers and preachers who say one thing and do another. Thank you. Our favorite Bible teacher of all time is Michael Pearl and from the fruit of his life (his marriage, children, and ministry) he walks the talks and so does his wife who I have learned godly womanhood from. John MacArthur, John Piper, and Voddie Baucham, from all we can see, do too. If we knew of a teacher that we learn from who does not do what they are teaching, we would not learn from them any longer. Doesn’t this lead to a discussion about the church helping widows and orphans? Modern churches pay pastor’s, pay for this ministry and that. Pay mortgage, insurance, utilities on a building that sits empty 80% of the week. Paul and the other apostles worked for a living. Pastors and all the useless ministries that use money could help widows and orphans. The early church met house to house for the most part. I agree with you, Jeff. Widows and their children should be a priority with every church but the family is the first one that Paul admonishes to provide for the widows so families should be the first to step up to the plate and provide for them. If they have no family, then the church definitely should provide. I know John MacArthur has stated on the study on this topic that his church does this since they obey the Word. I don’t know why churches have to have paid “music” ministers and others when they are fully capable of working for pay. Hello Lori, I do agree with what you teach on this subject. It’s Biblical. 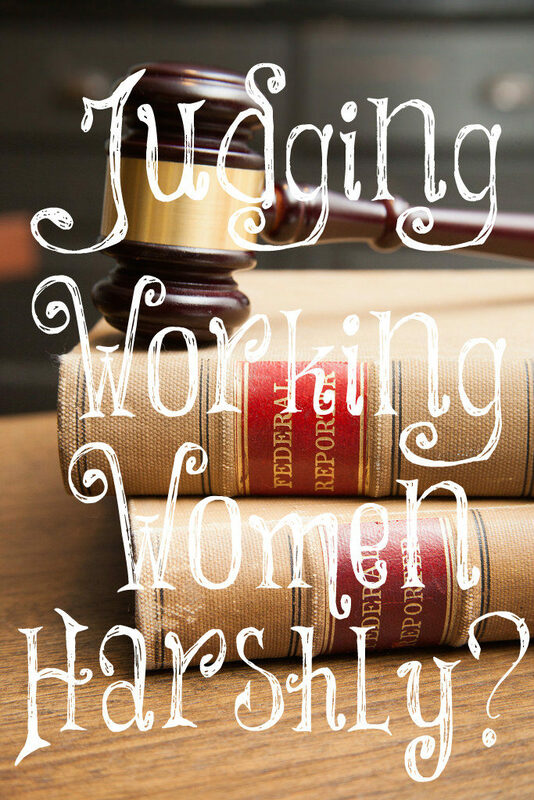 But, now I have this thought in my head and when I see a woman working, I think, “She is sinning. She shouldn’t be working outside the home.” I don’t like having these thoughts! She may have to work because her husband insists on it, Beth. I have many friends and relatives who work outside of the home. We are called to love them and when we can to speak the truth in love. Most women no longer even know they are supposed to be home so they may be sinning in their ignorance. Unless someone tells them, they will not know the value that God places on them being in the home raising their children.